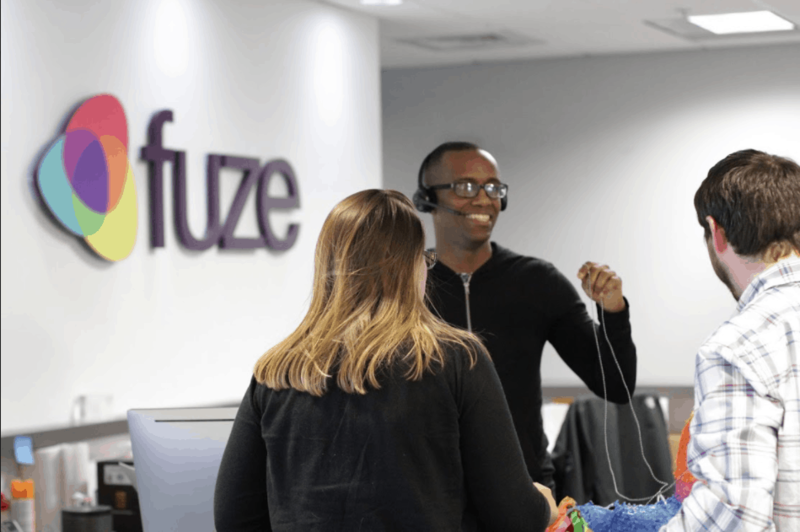 Boston-based Fuze, a global enterprise cloud communications and collaboration software platform, has experienced rapid growth since its founding. A company with such a rapid and steep trajectory can find itself pulled in many different, unproductive directions. According to Colin Doherty, Fuze’s CEO, the company hopes to avoid that pitfall and to ensure that its next steps are all about strategy, future vision, and−most important−focus. MassTLC sat down with Colin to discuss his role and the future of Fuze. We’ll start by asking, what’s the elevator pitch for Fuze? If you look at the way people communicate at work, they have used the same tools for a long time, and those tools fundamentally don’t meet the needs of most users. What’s happened over time is that there are phone systems and tools like Webex audio conferencing, video conferencing, and messaging. Everything is an additive to the environment. There have been few driving forces behind the simplification or understanding of how people actually want to communicate with each other. Our mission is to collapse all of the different modes of communications and ways that people interact with each other into one simple desktop and mobile experience that people use at work. We understand that younger people today very much want to use video and messaging versus more traditional workers, who tend to have an affinity towards picking up the phone and making calls. 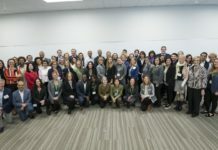 Our aim is to be inclusive and bring together all those people so they can have a discussion with the same toolset. What is Fuze’s target market? We go after enterprise clients globally, 1,000 to 20,000+ seats. To reinforce the scale of the market, there’s 400 million people that use communications tools at work every day. For the ones that work at enterprises with over 1,000 employees, less than 10 percent of the tools that they use have migrated to the cloud. I think the days are gone when IT can dictate what the standard is for the company and expect people to follow it. You have to deliver a really great user experience and people have to want to use the tools at their disposal every day. We’ve been really thoughtful about that, but at the same time, we are appropriately respectful of the functionality that people need to run their enterprise business workflow so that we are not causing disruption. Was it a difficult decision for you to come into this situation as CEO of a company where you weren’t the founder? Was there much change in the C-suite when you came on board? How did that trickle down through the organization? The challenge with the Fuze opportunity is the size of the opportunity. Which markets are we going after and why? How? How many people do we have in those locations? What’s the sales model? How scalable is that? We changed all of the sales leadership in 2017 purposely. I think that was the right decision. 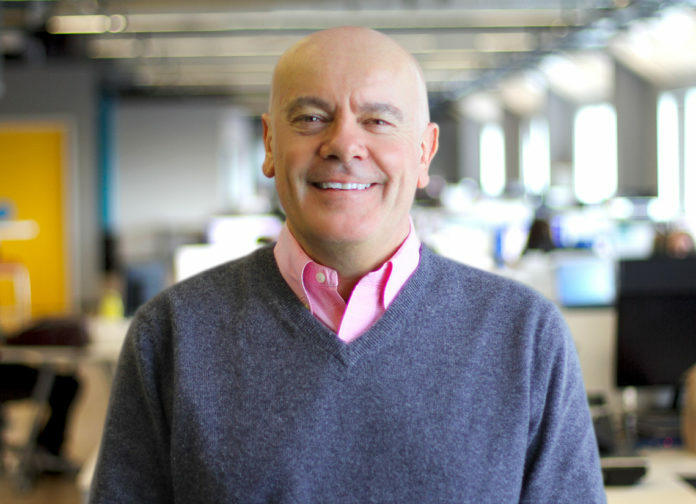 We brought Chris Doggett on board in July 2017 as our Chief Sales Officer, and that move has made a major change, accelerating our sales productivity and execution. What does your day-to-day at work look like? I spend most of my time trying to structure and shape the growth of the company, augmenting from direct models with indirect models, looking at how we are scaling geographically, assessing what markets we are targeting and monitoring how we are scaling the company in general from an operational, profitability, and growth standpoint. What are some of the challenges that you face that come with rapid growth? The challenges are what I call micro-challenges, i.e. internal to Fuze. The market challenges for us are all really tailwinds. People are converting from on-prem hardware to cloud. The want to scale on a platform, as opposed to old tools that nobody really utilizes. All of those things are accelerating forces for us in the market, which is great. But then we have a sales force internally that wants to run after everything. You can’t boil the ocean. You have to be disciplined with your focus and execute in those markets. We don’t need to be in every market in the world, we don’t need to be in every country in the world. We just need to be able to execute on profitable deals that we can scale and support. We’re seeing higher productivity in our sales reps, much higher funnel, better quality funnel, better quality deals, and targeting the right clients and use cases that can scale with the Fuze portfolio. Opportunity is not the challenge that we have. Our challenge is to focus within that opportunity set because the market is so large. One thing we always discuss is talent. Are you facing an issue of hiring people? How do you deal with it? Where do you source people? Sure we face challenges for talent, as the SaaS enterprise labor market is very tight. 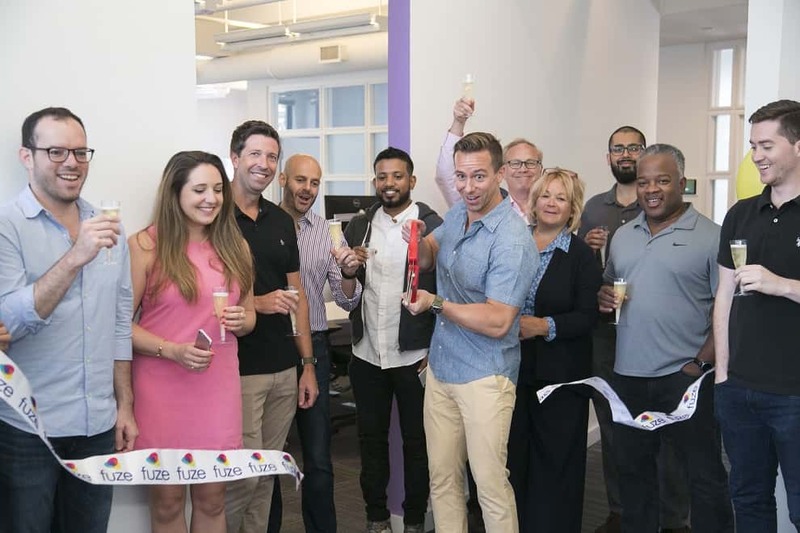 We do have our own recruitment teams here, and we moved the offices from Cambridge to Copley about a year ago, which has been transformative in our ability to attract top talent. People are happy to be close to Back Bay station, and there’s a great SaaS talent base in Downtown Boston. It all goes back to the opportunity. Something people intuitively understand is that their own social communications style is the way people want to communicate in business. People get that and want to be part of the Fuze story. What is the future of the product? Where do you go from where you are now? What’s the vision? Adding the guest experience for Fuze, i.e. utilizing multiple browsers to connect to to core platform is something we are working on now. This will allow Fuze users to seamlessly connect to any user anywhere on any device. We are also monetizing our data analytics capability that sits under the platform, which will provide real time visibility into communication flow, behaviors, and productivity. 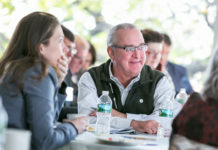 We are seeing HR VP’s and Chief People Officers become more visible in deals as they seek to understand the changing communication patterns of their global employee base. We also see our mobile capability on iOS and Android increasingly being a key differentiator. One example of this: many fleet management organizations now view the truck cab as a “remote office.” So for them, the question becomes how can they be more effective using mobile capabilities that are tied into their enterprise workflow for effective transportation and logistics. What are some of the things that have gone into the product or have been built out of the company that were accidental or happenstance? 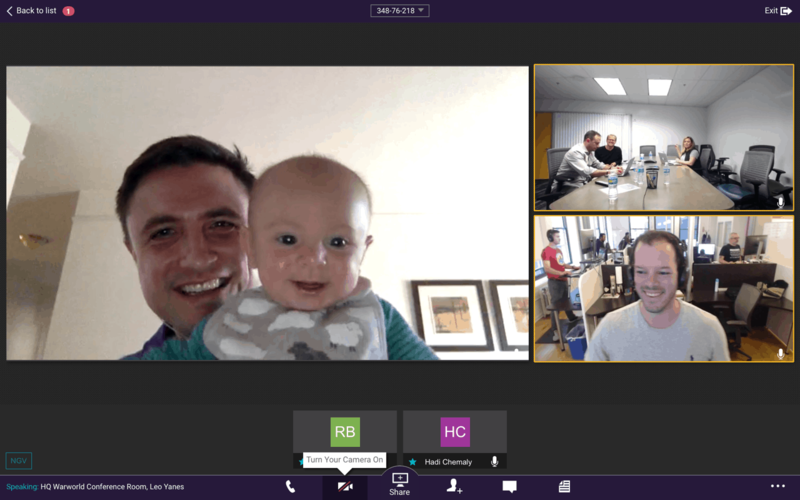 For me, the most impactful capability that’s been added to the platform over time has been the video meeting capability. 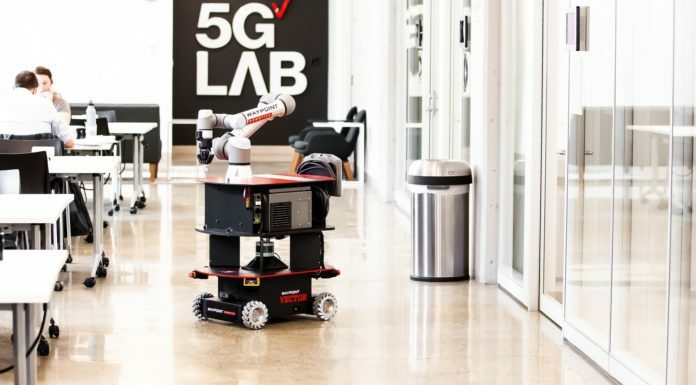 If you walk around this office, whether it’s the seventh floor or the sixth floor, or any of our offices around the world, whether it’s in California, Europe, Canada, people, are on video calls/meetings all the time. That facial physical connection in a meeting is really important. People are much more engaged. Video is like a light bulb that we accidentally turned on years ago, because we had a series of phones we were testing out that were video enabled. It’s one of those things that people didn’t ask for and sometimes had trouble justifying paying for, but we noticed that as soon as we put it on, if someone wasn’t on video after that, people were like, “Well, what’s going on? Why isn’t your video on?” Through that learning, we then evolved this user experience over a period of time. Calls have become meetings and meetings are all video. On the flip side, we also do hackathons a couple of times a year. We encourage people in their spare time to think about how they can innovate around the platform and build on their own ideas. The winners of the hackathon get to spend time productizing their idea as part of our official roadmap. We’ve had a lot of cool features that have come out of that process. As we get bigger, obviously, everyone gets very busy with making dates and release schedules and what not. We always like to try and make sure that there’s room for people to innovate and think about whatever drives them and what they are excited about. As you look ahead, are there emerging technologies that you expect will impact the business or that you think will change your offerings? Artificial intelligence (AI) is obviously a big theme. We think that, for sure, in an enterprise setting, predictive analytics can be a huge help to trends, behaviors, call patterns, effectivity and overall productivity. One of the benefits of our platform is that when users communicates across all different modes of communications, it offers insight into user behavior that not many people have. Our focus there is using that data to improve and to constantly iterate. If you sat down with the Fuze product today, you would be, I’m sure, comfortable with it. If you were a Fuze user three years ago, you would have been comfortable with that. If you compare the two side by side, they are almost unrecognizable as the same product. It’s this constant evolution that we think is important. The final thing we want to ask is why are you in Massachusetts? If you look at the different ecosystems, obviously, the Bay Area is the biggest tech ecosystem in the world. But if you look at Boston and also New York, these are places where there’s a vibrant community, there are funding sources, VCs and talent. 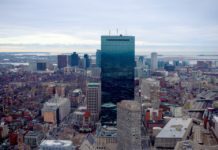 Especially in as far as education goes, the fact that Boston is a great place to live also means that a lot of the students that graduate are happy to stay here versus going somewhere else. I think it’s sort of a unique combination. And for sure, being in the city, it has just a vibrant vibe to it.